On Monday, millions of Americans stopped what they were doing to go outside and check out the first total solar eclipse since June 1918. This once in a lifetime phenomenon not only had the average citizen excited, but it also acted as a great marketing tool for multiple brands and companies. From original recipes to moon jokes, let’ take a look at the most creative eclipse campaigns. The first campaign that really caught my eye was Corona. Corona teamed up with Cramer-Krasselt, a creative marketing firm, to put out the perfect eclipse package, “The Corona toast kit.” This toast kit came equipped with eclipse glasses, an eclipse countdown clock, and of course a few coronas. Not only was this a cute and fun way to get people excited about Corona and their product, but the box also doubled as a pinhole viewer which made it even more appealing to consumers. They also put up a stop motion video on their Facebook page to explain how to actually create the pinhole viewer, creating more buzz and keeping customers happy. Krispy Kreme, one of America’s favorite donut brands, offered its famous glazed donut in a chocolate shell to mimic the eclipse. This was a cute and fun way to get guests excited about the solar eclipse and get a donut that tasted delicious! Spirit brand Jose Cuervo came up with fun cocktail recipes that they called “Total Especial Eclipse” and “Dark Side of the Sun.” Both cocktails consisted of interesting ingredients that played off of the solar eclipse, for example the Total Especial Eclipse recipe calls for charcoal lemonade to make it darker in color, like the moon eclipsing the sun. Lastly, Cracker Barrel, a chain known for its biscuits, started posting cheeky social posts that were very simple but still effective. 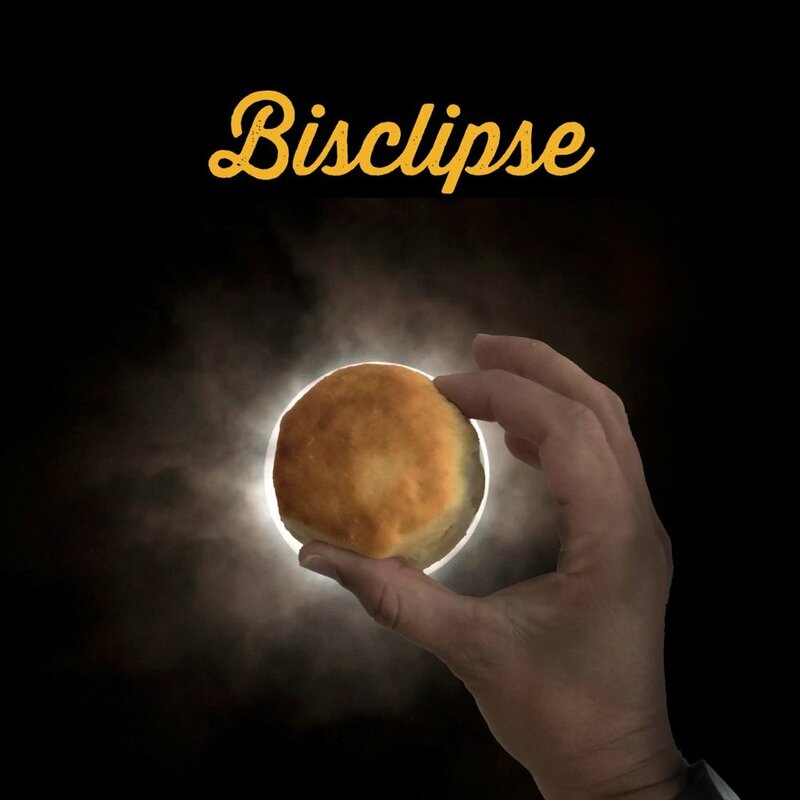 For example, one of their posts was of a biscuit blocking out the sun, which they called a “Bisclipse,” providing consumers a quick laugh with their meal. All of these companies found clever ways to market their products while tying in the solar eclipse. Capitalizing on events like the eclipse is an extremely smart way for brands to make themselves known and hopefully gain some more traction and revenue. Consumers all over America were extremely excited about the eclipse so it made perfect sense for marketers to take advantage of it and come up with creative ways to tie in the once in a lifetime phenomenon. Whether it was through giveaways, social posts, or recipes customers couldn’t look away from these brands just like they couldn’t look away from the solar eclipse.